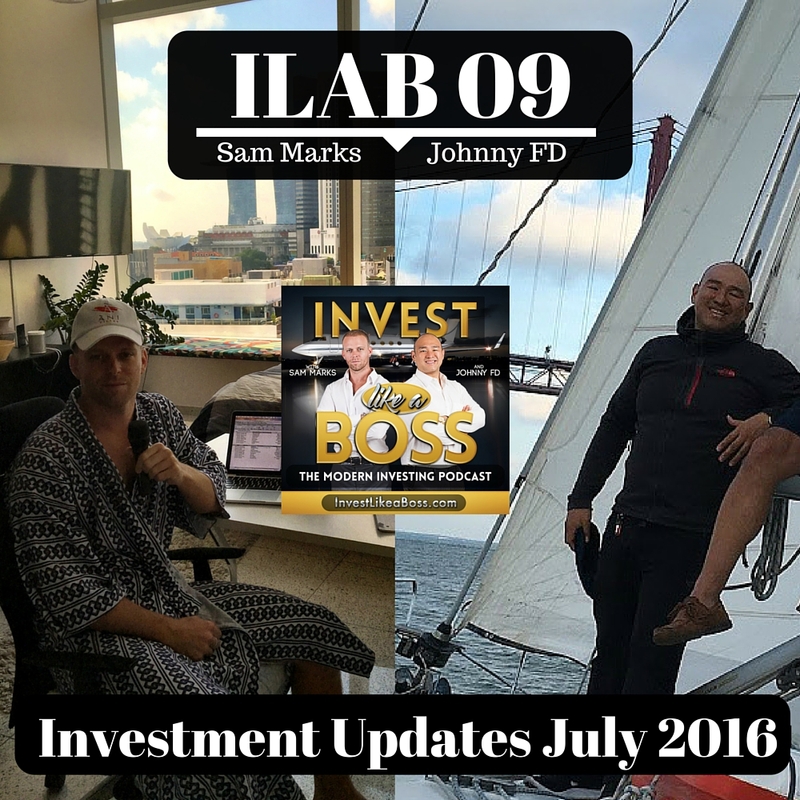 Sam and Johnny Share their July 2016 portfolio including Wealthfront, Lending Club, Betterment, PeerStreet, REIT’s, Foreign Exchange, stocks and index funds. As Johnny travels through Europe he talks about why he cancelled his auto investment with Wealthfront, direct Vanguard deposits and wiring $10k to Brian at the Art of ForEx. Sam reviews his back up plan if Lending Club goes bankrupt and why his Wealthfront account is crushing over his Vanguard and Etrade accounts. We also talk recap some highlights of the past 8 episodes and what to expect going forward. Lastly we discuss the incredible value having access to multi- million dollar investors in the Boss Lounge. We would also like to thank everyone thus far for participating in the ratings and the review section of iTunes and also listening and joining us on our investment journey. Listen to ILAB 09 on iTunes here or subscribe on your favorite podcast app. 35:30 – What if Lending Club goes bankrupt?